VietNamNet Bridge - The Ministry of Education & Training (MOET) has announced the new general education program with detailed curricula for 27 subjects. Of the requirements, students must have 70 periods of physical education each academic year. 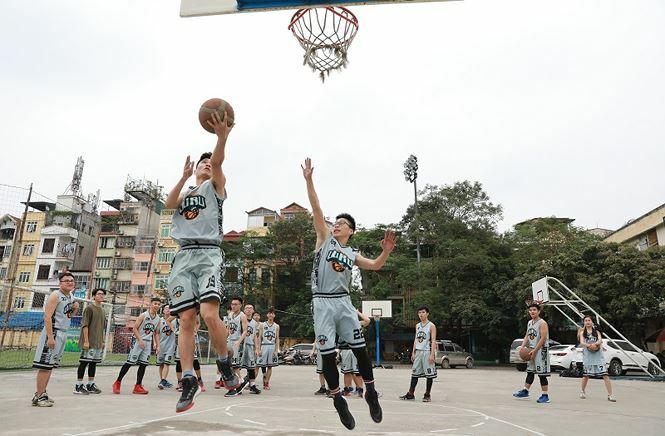 Showing concern about the small stature of Vietnamese students, MOET Minister Phung Xuan Nha said parents, students and teachers need to change their awareness about the importance of physical education in school. For many years, physical education has been considered an auxiliary subject. While students make every efforts to gain high scores for math, literature and English, they spend less time on physical practice because poor scores for physical exercises do not affect their records. An MOET report found that 17 percent of primary schools have gyms, and 15 percent have sports yards. The proportions are 12 percent and 15 percent, respectively, for secondary schools, and 30 percent and 15 percent for high schools. Only 0.4 percent of education establishments have swimming pools. Vu Thu Huong from the Hanoi University of Education noted that many students only turn up to answer the roll call, and don’t spend time on what they say are ‘useless lessons’. “Math and literature are the two most respected subjects because the achievements of the subjects will determine students’ abilities,” Huong explained. Music and arts, and social science subjects are also listed as unimportant. Students only spend time on exam subjects included in university entrance exams. A high school student in Hanoi, when interviewed by VietNamNet reporters about her daily timetable, said she has no have time for physical exercises. Huong stressed that the tendency of students cramming for some subjects is ‘dangerous’.“The danger is that Vietnamese children have poor knowledge about the world around them. They are very ignorant though their scores are high,” she said. Meanwhile, some students denied that they disregard physical exercises, but said they are tired of physical education at school. “We have too many physical exercises. And facilities for practice are very poor,” a student told VietNamNet. “Social organizations every summer mention the alarming number of drownings and call on schools to teach swimming. However, as far as I know, not many schools have money to build or lease swimming pools,” the student said.